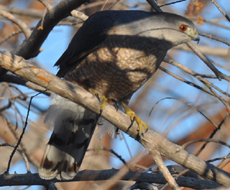 The habitat of the Cooper’s hawk includes any forested area in North America with abundant prey. 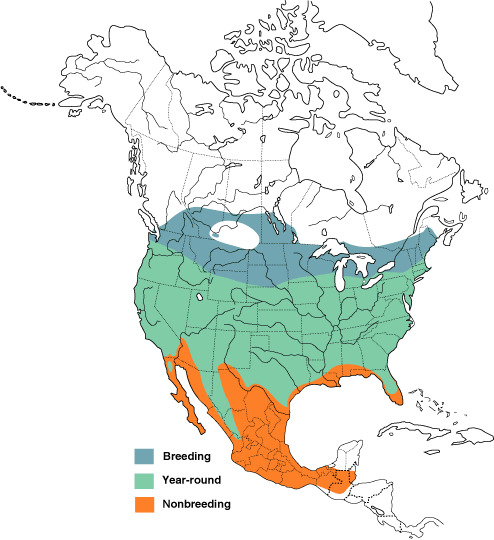 The breeding range of the Cooper’s hawk includes primarily the area of North America that encompasses northwestern Mexico and extends northward to the boreal forest, and all of continental U.S. from east to west coast. Excluded are areas of prairie, grasslands, and high mountains. 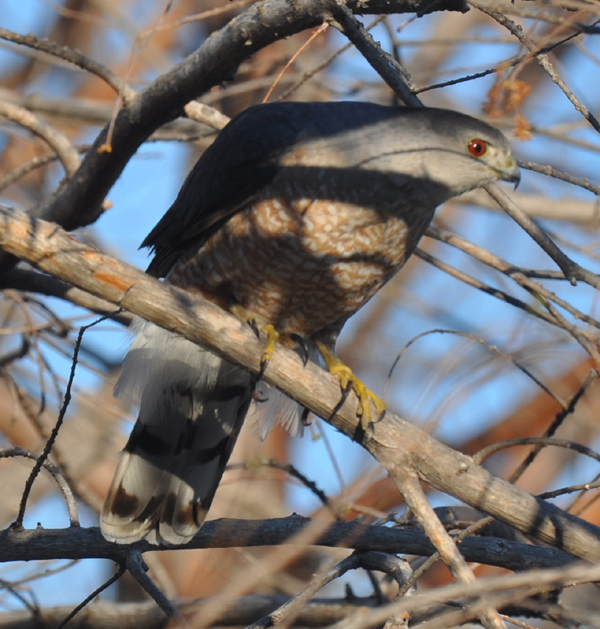 The Cooper’s hawk is drawn to any forested area with abundant prey. To illustrate, the territory of Saskatchewan, made up primarily of native prairie, was devoid of Cooper’s hawks until the city of Regina developed as an oasis in the center of the prairie. In 2013 three active nests were observed in the green ash trees of Regina’s 2,000-acre Wascana Park. The hawks are banded and have been observed returning there to breed. Many Cooper’s hawks do not migrate during the winter season, particularly those in the southern states of the U.S. The northern hawks migrate as far as Central America to regions where prey is abundant in winter. Cooper’s hawks avoid flying over a great expanse of water, and so settle in the lower states of the U.S. or follow the mainland down into Central America. No Cooper’s hawks are recorded outside the Americas, although a very similar species, Gundlach’s hawk (A. gundlachi), can be found in Cuba. Accipiter bicolor, a hawk with extreme rufous coloring on the chest inhabits the tropical areas of Central and South America.